Thu., 5 Dec. - Fri., 24 Jan. Sun., 30 Jun. - Sat., 20 Jul. Thu., 20 Jun. - Mon., 8 Jul. Tue., 26 Nov. - Mon., 13 Jan. Mon., 25 Nov. - Mon., 13 Jan.
Wed., 19 Jun. - Mon., 8 Jul. See all 172 properties in Alfonso Bonilla Aragon Intl. 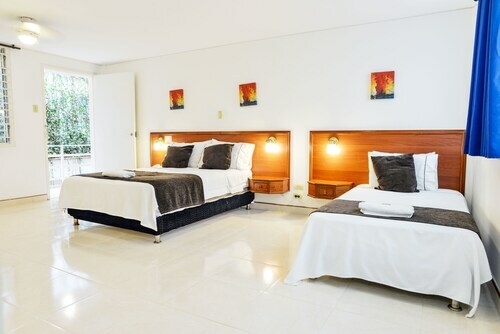 Situated in Palmira, this hotel is close to Parque Bolivar, Centro Comercial Llanogrande Plaza, and Parque de Azucar. Area attractions also include Fenix Air Museum. Located in the heart of Palmira, this hotel is within 2 mi (3 km) of Parque Bolivar, Parque de Azucar, and Centro Comercial Llanogrande Plaza. Nirvana Natural Reserve and Sugar Cane Museum are also within 9 mi (15 km). 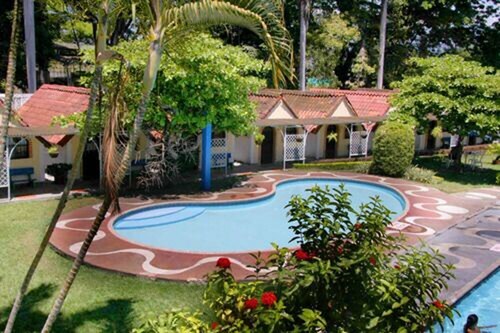 Situated in Palmira, this aparthotel is within 1 mi (2 km) of Parque Bolivar and Parque de Azucar. Centro Comercial Llanogrande Plaza is 1.7 mi (2.7 km) away. Situated in Palmira, this property is within 2 mi (3 km) of Parque Bolivar, Parque de Azucar, and Centro Comercial Llanogrande Plaza. Nirvana Natural Reserve and Sugar Cane Museum are also within 9 mi (15 km). Situated in Palmira, this vacation home is within 2 mi (3 km) of Parque Bolivar, Parque de Azucar, and Centro Comercial Llanogrande Plaza. Nirvana Natural Reserve and Sugar Cane Museum are also within 9 mi (15 km). 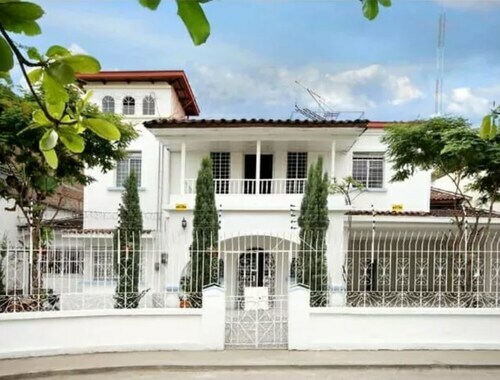 Situated in Palmira, this property is 1 mi (1.6 km) from Parque Bolivar and within 3 mi (5 km) of Parque de Azucar and Centro Comercial Llanogrande Plaza. Nirvana Natural Reserve and Sugar Cane Museum are also within 9 mi (15 km). 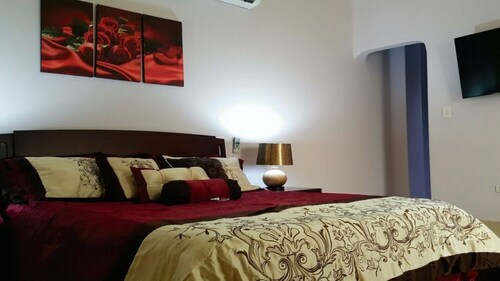 Situated in Palmira, this vacation home is 0.8 mi (1.3 km) from Parque Bolivar and within 3 mi (5 km) of Parque de Azucar and Centro Comercial Llanogrande Plaza. Nirvana Natural Reserve and Sugar Cane Museum are also within 9 mi (15 km). Question : What is the cheapest airline flying from Vancouver to Cali? Answer : United Airlines strives to keep prices down for their passengers over the next three months. Fares are being booked at just $826 and, when compared to the more expensive bookings of $830, it's a terrific bargain. Question : How long do most people stay in Cali on average? Answer : The cheapest day to fly from Vancouver to Cali is on Thursday. If you are trying to save a bit of money on your next business trip look for flights on that day. Question : What is the cheapest date to fly to Cali? Answer : If you are needing to save some funds, look at May 5th. As of Apr 15th, it's showing the cheapest ticket at $826. That is below the average price for this route, so you can spend that extra dollars on an adventure rather than the flight. Question : How much is a plane ticket to Cali (CLO) from Vancouver (YVR)? Answer : Cost can range from $826 to $830, prices for YVR to CLO fluctuate a lot less than most routes from Canada. However, usually the sooner you book, the better the price. Answer : Yes, you can switch your departure or arrival date. If you would like to save some funds in doing so, the cheapest day to fly in April is Thursday. Flexibility is key when booking travel to help keep costs down.